I have published two books: “My Life With Punch” which was the autobiography of Joe Beeby and “Conversations With Punch” which was a series of interviews with prominent Punch and Judy men. These are now both sold out and are collectible items. 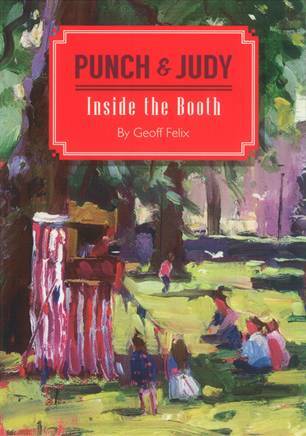 “Punch and Judy – Inside the Booth” is my latest publication in which I detail areas not covered by previous books on the subject. The book draws from my 34 years of experience in Punch and Judy puppetry. I am no longer able to fulfil orders due to illness.